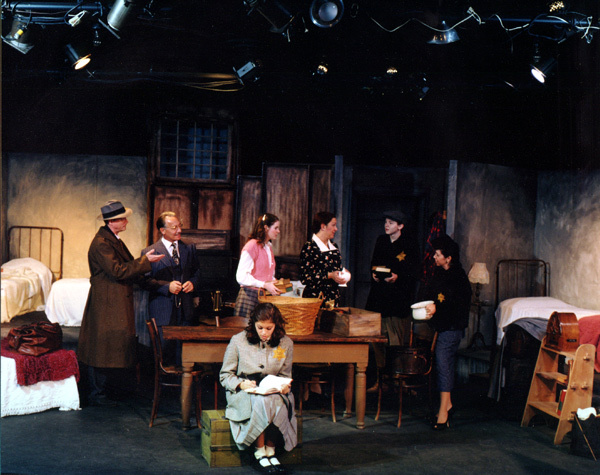 Yours, Anne was the first production of the first season–a sensitive musical adaptation of The Diary of Anne Frank. There was talk of canceling the performances out of respect for the victims and survivors of the recent tragedy of September 11th. 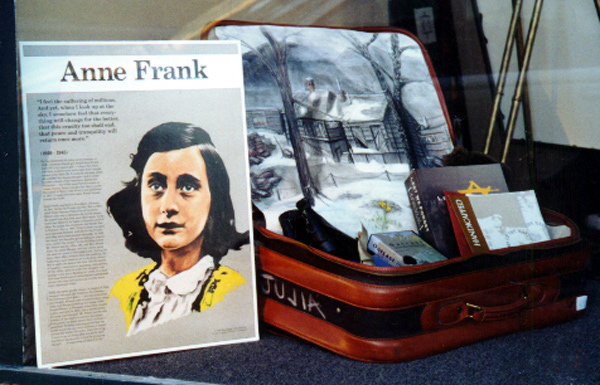 However, remembering that the Holocaust Anne Frank documented in her famous diary was also a tragedy of epic proportions, the decision was made to continue. 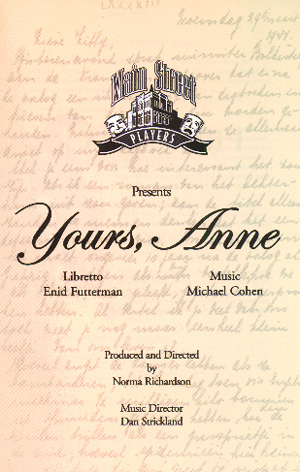 Yours, Anne had originally opened in New York in 1985 and ran for six months at Playhouse 91. 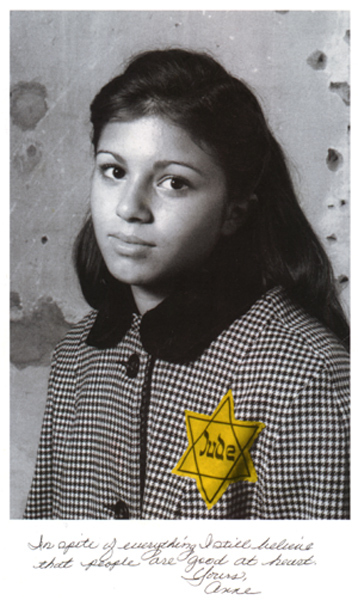 That theatrical treatment, with a libretto by Enid Futterman and music by Michael Cohen, was based on the diary of a thirteen-year-old Jewish girl who lived in hiding in Amsterdam until she was betrayed and transported to a Nazi concentration camp, where she died. Griffin native Dan Strickland was the original Music Director and it was Maestro Strickland who readied Yours, Anne for Main Street Players’ initial production. There are twenty musical segments in Yours, Anne interspersed with dialogue spoken by a cast of eight professional actors. 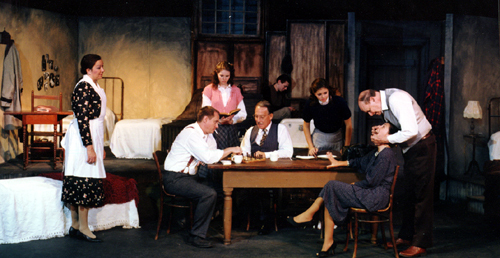 Yours, Anne was semi-staged with the action of the Frank family taking place inside what Anne called her “secret annex.” A multilevel set suggested spaces representing their garret, kitchen and Mr. van Dann’s room–all treated in different shades of gray” …similar to seeing a black and white movie,” visualizes Norma Richardson, Founding Artistic Director of Main Street Players. The focal point of these representational spaces was an attic window. Through this brightly-lit pane Anne saw the outside world for her 25 months of confinement in her drab attic prison. 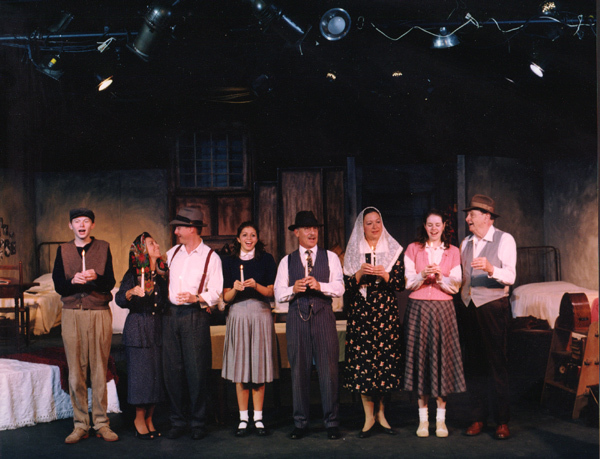 Yours, Anne performed before full houses and was extended from two weekends to three.